Snagging an iTunes gift card for 15 percent off is like putting money in the bank. After last week’s iPhone-heavy Apple deals roundup, we’re focused this time on a hot mix of hardware, accessories and a discounted iTunes gift card. We might see $100 of iTunes credit for $79 around Black Friday, but this iTunes gift card is darn close to that seasonal deal. And it’s the lowest price we could find right now by $9 to boot. Don’t be some sucker who can’t safely drop their Apple Watch in the toilet. (Why do you take your watch off in the bathroom anyway?) 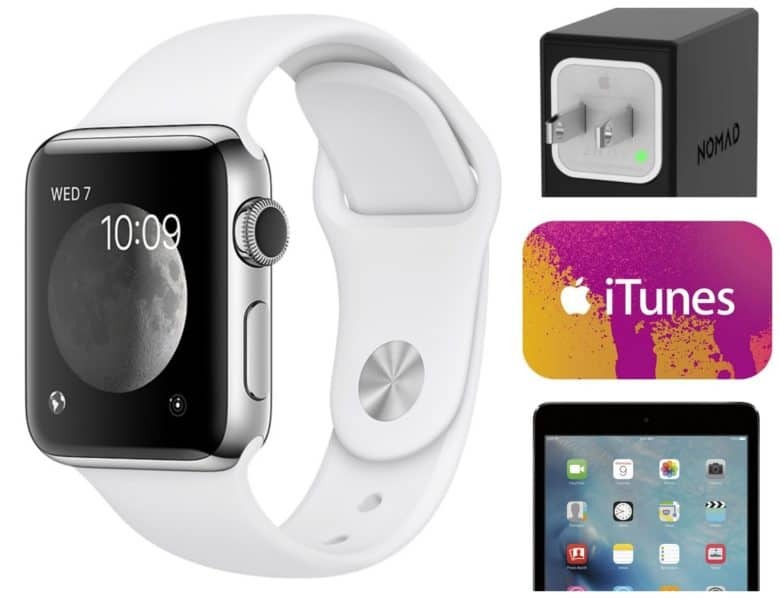 Get this refurb 38mm stainless steel Apple Watch Series 2, with sport band in white or black, and you get the water-resistant features not found in older models, plus a more powerful processor, brighter display and watchOS 3. Not to mention it comes direct from Apple, so you’ll still be covered by a one-year manufacturer warranty. Best Buy via eBay offers the iPad mini 2 32GB Wi-Fi tablet with Retina display in space gray or silver for $214.99 with free shipping. That’s the lowest total price we could find now by $5, although most merchants charge $269 — the 8-inch tablet’s list price. Want sleek Apple design without the Apple prices? Check out these futuristic accessories from Nomad, as the company cuts 75 percent off a selection of its Apple Watch and iPhone accessories via coupon code “SAVE75.” Shipping adds $4, but orders of $50 or more qualify for free shipping.